Our farthest scout in the Universe, the Voyager-1 probe, has traveled some 18.7 billion kilometers so far and it doesn’t show any sign of stopping. Soon enough, it will be the first man-made object to leave our solar system, when exactly however has been a matter of debate. For the past year or so, contradictory claims have made the matter uncertain, and officially (the word from the Voyager team) the craft has yet to breach the final outer limits of the solar system. A new paper, however, suggests that the probe may have already left our solar system by offering a different interpretation on the magnetic bubble Voyager is currently traveling through. Its rather difficult to draw a line where the solar system ends and where interstellar space begins. 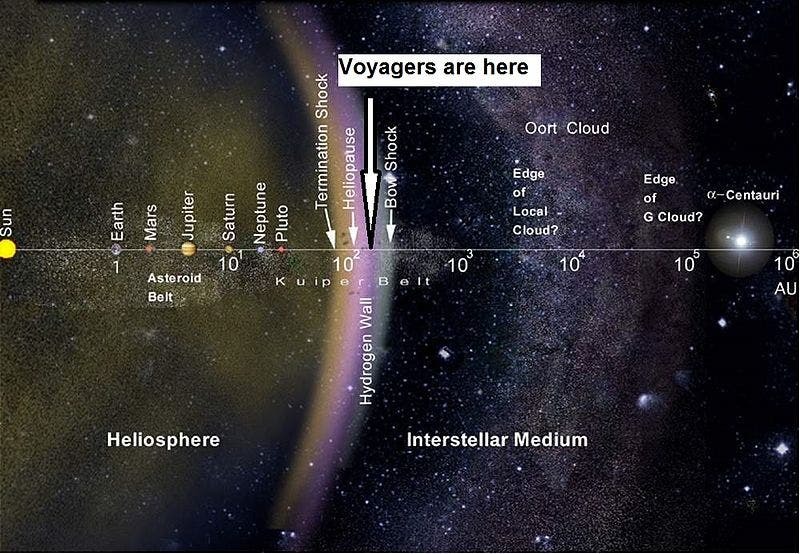 If we’re to judge from the heliosphere’s perspective – a bubble-like enclosure dominated by charged particles coming from the sun – we might very well say that Voyager’s way out since the number of particles of interstellar origin far outnumber those coming from the sun. Beyond this region lies another region of contact, this time of a magnetic order. Referred to as the “magnetic highway”, in this region our sun’s magnetic field lines are connected to interstellar magnetic field lines. The problem is we don’t know for sure what happens at the junction between interstellar and solar magnetic fields. If you will, it’s like as if you were an European explorer in the XXVth century and you just set foot in the Americas – you have no idea what you’ll get, what you’ll see next until actually do. The main hypothesis is that magnetic fields are oriented in different directions inside and outside the bubble, and so far Voyager has yet to exhibit the sharp change in direction everyone’s expecting once it fully exits the solar system. Marc Swisdak and colleagues at University of Maryland propose an explanation that would account for the lack of change in direction, while at the same time hinting towards Voyager’s exit. They claim that the magnetic fields at the interstellar boundary may actually be parallel, and if this is the case scientists shouldn’t need to see a variation in direction. This magnetic parallelism would be caused by a phenomenon called magnetic reconnection, in which magnetic field lines break and then recombine in a sort of violently popping action. Magnetic reconnection is also thought to power solar flares. 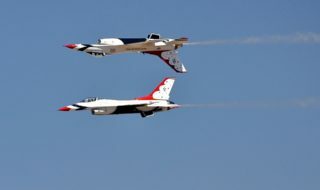 They envision a pair of magnetic ‘islands’ that appear spontaneously near three reconnection sites. Together these phenomena combine to create a set of parallel magnetic field lines that are just outside the Solar System proper. 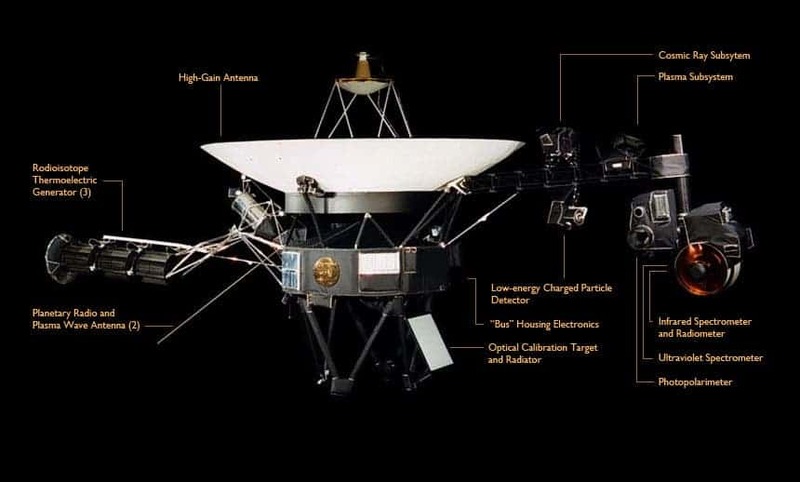 Stone has been the lead scientist for the Voyager mission ever since the probe first launched more than 35 years ago. He’s the guy who will blow the final whistle signaling the probe has left the solar system. When this will happen? Most likely within a few months (of course if it hasn’t left it already! ), but like stated earlier, this is a whole new ground we’re treading about. Sure, we have a fairly good idea what we’re going to physically meet and measure beyond our solar system – it’s not like walking blindfolded – still, it wouldn’t be entirely surprising if Voyager would need years to leave the solar system. The magnetic reconnection paper was published in the Journal of Astrophysical Letters.